Nut and bolt set for fixing towing/trailer sockets to brackets. Suitable for 7-pin 12N/12S & 13 pin continental sockets. 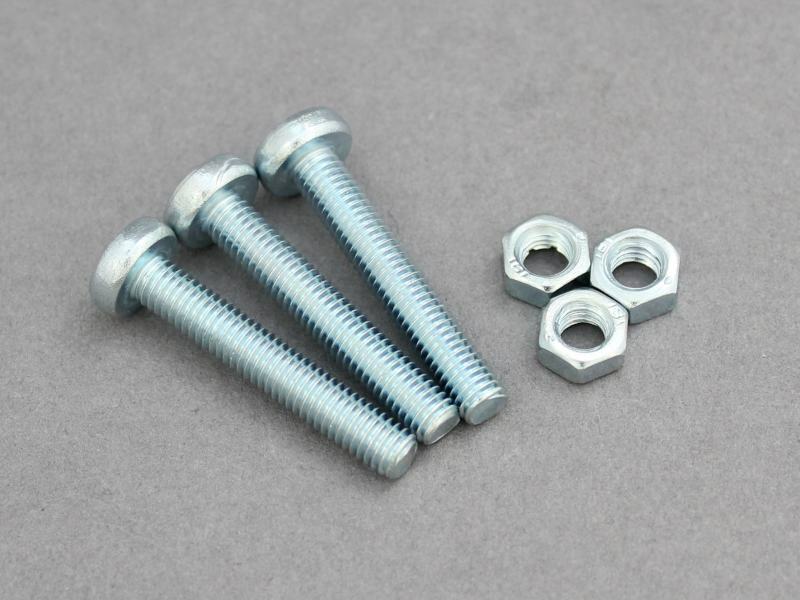 Sold as a pack of 3 nuts and bolts. 1 set/pack required per socket. Bolt size: 2BA x 1.25"
good bolts & nuts but no spring washers to stop nuts working loose!